This gift set includes a body balm made with a combination of shea, avocado butter and essential oils slide on after a bath or shower and keep skin moist, fresh and smooth for the entire day. 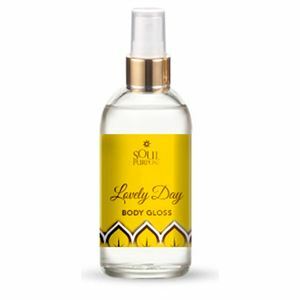 Lovely Day has a beautiful floral fragrance with top notes of Japanese white peonies with a kiss of Bulgarian rose. 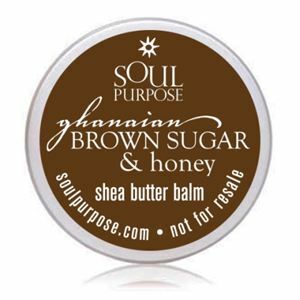 Plus, Lovely Glow Body Polish will help melt away stress and rejuvenate the skin with Soul Purpose nourishing salt and sugar scrubs. Enjoy our therapeutic creations, made with herbal extracts, essential oils, Vitamin E, mineral-rich Dead Sea Salt, pure cane sugars and our exclusive antioxidant blend. These blends contain either the restorative, antibacterial properties of sugar or salt with beautiful fragrance accords to bring you one of the sweetest bath experiences around. 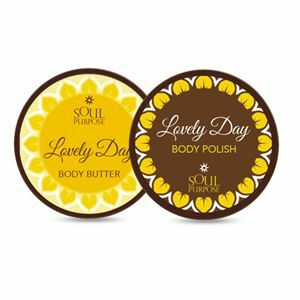 Includes: Lovely Day Body Balm (1) and Lovely Day Sugar Scrub (1).